A pro creation t-shirt with a smile. 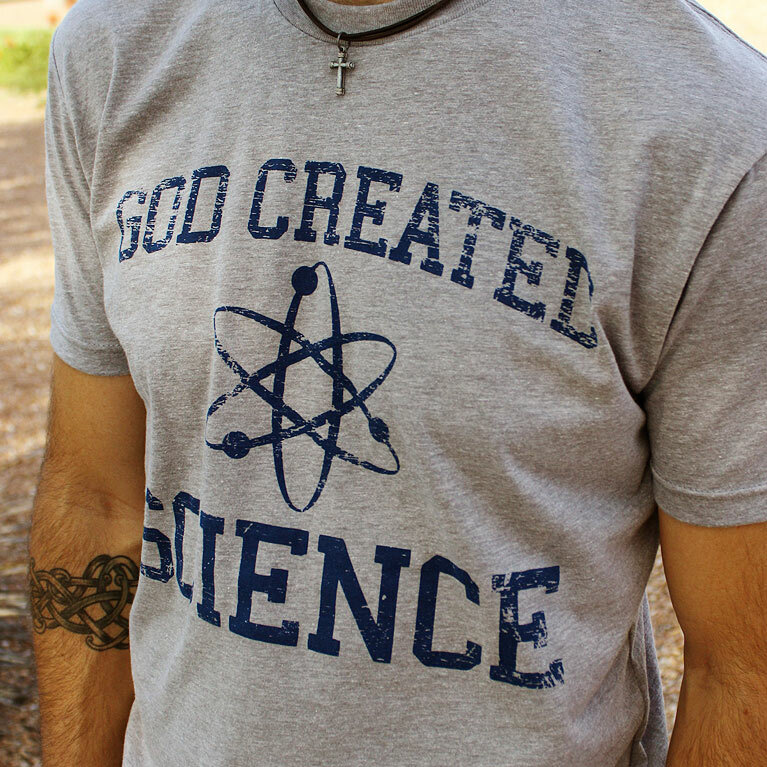 This Christian shirt is designed with a sense of humor, but with an underlying boldness that states that we believe God created all things. And that science helps support His hand in every detail of creation. The belief that everything we know and see has been created by God is a pillar of our Christian faith. However you believe that actual creation occurred is totally up to interpretation, and frankly, inconsequential (in my opinion). However, the core of this faith is that God set creation in motion. To me, there is no question that we are intelligently designed by an almighty hand.